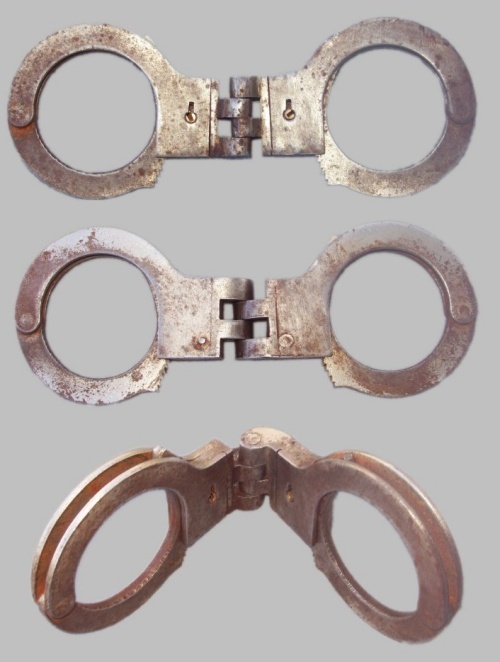 Can anyone identify this unusual folding handcuff? This unusual folding handcuff is very heavy and very well made. and better made than any of those. any information about this unusual handcuff. Guesses are welcome as well.